Judicial Watch, the organization that investigates and fights government corruption, announced today that major mainstream media outlets and open government organizations have joined its legal campaign against the Obama Secret Service to force the release of White House visitor logs. 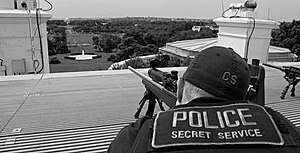 On August 17, Obama-appointed federal Judge Beryl Howell ruled against the Obama administration that Secret Service White House visitor logs are agency records that are subject to disclosure under the Freedom of Information Act (FOIA). The Obama administration appealed that decision and the lawsuit is now before the United States Court of Appeals for the District of Columbia Circuit (Judicial Watch v. U.S. Secret Service (No. 11-5282)). Among the organizations joining amicus briefs filed in Judicial Watch’s litigation are: Bloomberg, L.P.; CBS Broadcast Inc.; Dow Jones & Company Inc.; Gannett, Co. Inc.; The McClatchy Company; The National Association of Broadcasters; National Freedom of Information Coalition; National Public Radio; The Newspaper Guild; The Radio Television Digital News Association; The Reporters Committee for Freedom of the Press; The Washington Post; Citizens for Responsibility and Ethics in Washington (CREW); Openthegovernment.org; Electronic Frontier Foundation; and the Project on Government Oversight. 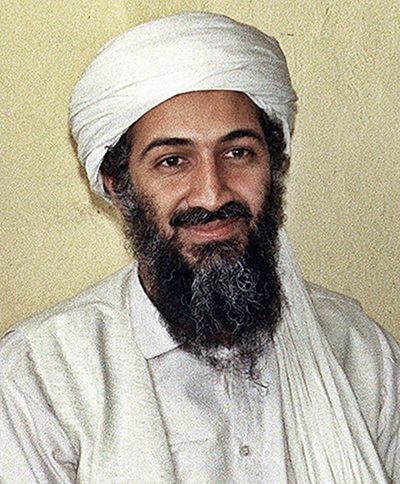 In the months after the U.S. military mission that killed Osama bin Laden, Pentagon officials met with Hollywood filmmakers and gave them special access in an effort to influence the creation of a film about the operation, newly released documents show. Emails and meeting transcripts obtained from the Pentagon and CIA through a Freedom of Information Act lawsuit by the watchdog group Judicial Watch suggest that officials went out of their way to assist the filmmakers, while trying to avoid the public learning of their cooperation. 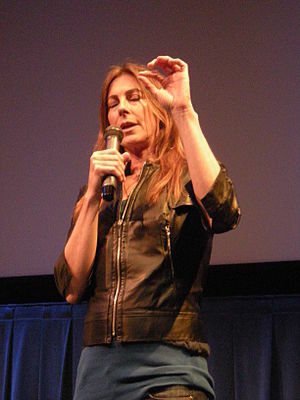 Director Kathryn Bigelow and screenwriter Mark Boal, who won Oscars for their 2009 Iraq war movie, “The Hurt Locker,” were granted access to a Navy SEAL who was involved in planning the May 2011 raid, according to a transcript of a meeting that took place in July. A new trove of emails acquired by Judicial Watch show that the White House was intimately involved in managing the fallout from the Shirley Sherrod story, in which the USDA employee was forced to resign after Andrew Breitbart posted a fragmented video of one of her speeches to his website, Big Government. At the time, then-White House Press Secretary Robert Gibbs blamed Sherrod’s firing onAgriculture Secretary Tom Vilsack, and said the White House had been informed but not “consulted” about the firing. In fact, the White House was involved almost from the moment the story broke, and USDA officials understood some of the larger context of her statements before they forced her resignation. The emails, acquired through a Freedom of Information Act request, show that the White House both knew about the story from the beginning and signed off on the wording of Vilsack’s statement explaining his acceptance of Sherrod’s resignation the evening it happened. But the emails provide a newly detailed portrait of the panic that beset the USDA and White House as the story gathered steam – panic driven in part by fear of what Fox News would do with it. The emails also show how that panic pushed USDA officials to rush past the partial context that was already embedded in the original video out of worries over how the story would play. Court says White House visitor records are FOIA-able..
A solid ruling on White House visitor records, at last. A recent Obama appointee to the federal bench, at that…note that Judicial Watch was suing the Obama folks to make legally binding a policy the White House was claiming it was doing voluntarily. If only this had been handed down, say, any time in American history before Obama began divulging White House visitor records…. White House visitor records maintained by the Secret Service are subject to the Freedom of Information Act and must be disclosed if not covered by one of the law’s exemptions, a federal judge ruled Wednesday. U.S. District Judge Beryl Howell issued the decision on a lawsuit brought by a conservative legal watchdog group, Judicial Watch. The group’s suit sought White House access records from January to September 2009, when President Barack Obama instituted a new and unprecedented policy of releasing the names of nearly all White House visitors. In the case, Obama’s Justice Department took the position the government had under the Bush administration: that the White House visitor records were not subject to FOIA because they belonged to the president and not the Secret Service. However, Howell rejected that argument. The Justice Department also argued that the records could implicate national security issues, but Howell said that was no reason to declare all the data requested by Judicial Watch to be beyond the reach of FOIA. Given the Obama policy to release this information going forward, the implications of Howell’s ruling could be limited. However, if the decision is upheld, it means that what the White House has touted as a voluntary disclosure policy would not be voluntary any more.